The sitting milestone is one of my favourite to photograph. It’s a laid-back session with lots of laughs, silliness, cuddles, and tickles. 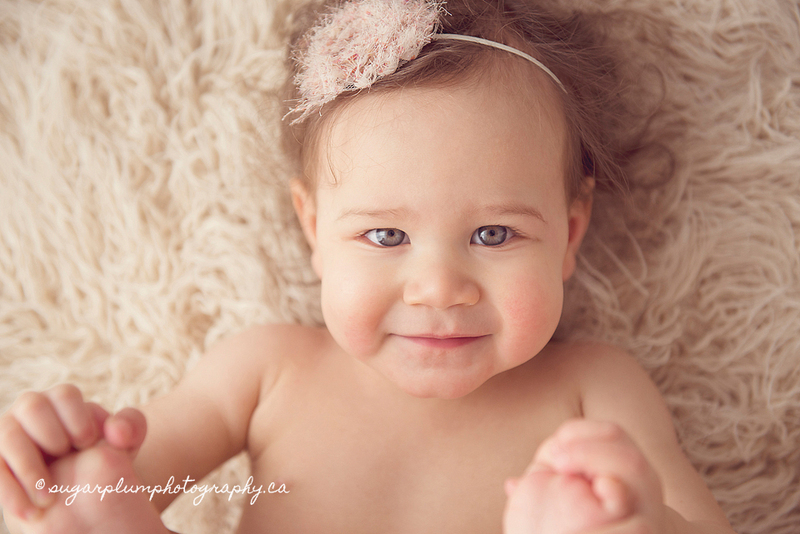 It’s the next best age to photograph after the newborn stage and perfectly documents the growth and new abilities. Prepare yourself for a fast-paced silly session with lots of funny faces, tickles, and jumping around. Parent participation is encouraged with every baby photography session to add to the comfort level for the baby and because baby photography sessions are just plain fun! The best ages to photograph (after newborn) is 6 months or whenever the baby can sit comfortably propping him or herself up for a few minutes without falling over. 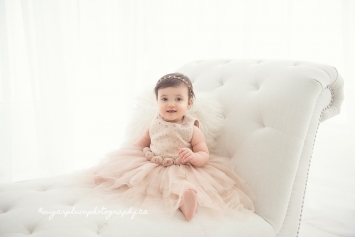 Ideally the baby hasn’t started crawling yet, and this baby photography session is meant to commemorate their growth & change from a newborn into a chunky baby that now has the ability to sit on his or her own. Hence, the “sitting session”. This is followed by the first birthday milestone. Walking is not a requirement, but most babies now have the added ability to stand propped up against something tall like a chair, or crate. Crawling? Absolutely…and probably very fast. These milestone baby photography sessions now include showcasing their new ability to stand, bold personality (or not), and of course celebrating the fact that they are now One! 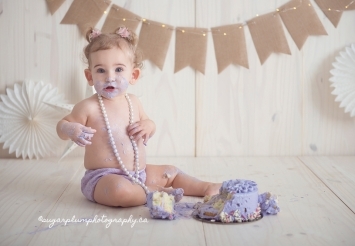 There is an option to add a cake smash, or creating a personalized theme without the cake. Burlington Oakville Toronto Newborn Baby Maternity Family Photography|ProPhoto Site | Designed by That's Kinda Cool!